Over the course of its amazing run as one of the most popular dramas on TV, Sons of Anarchy told a lot of different stories with countless different characters and taught its audience a great deal about not just the nature of being a hard-working criminal but about life itself, no matter who you are or what you do. The FX biker drama, despite the specificity of the tale it’s telling, is universal in the way that the show represents the triumphs and struggles of its main characters. These are 20 life lessons we learned from Sons of Anarchy. 2. Brotherhood doesn’t come from blood. …blood is not everything. Family, specifically the brotherhood that is forged between the members of SAMCRO, is about more than just whose brother, son, uncle, or nephew you are. Through this lifestyle, you begin to understand who you can trust and who you can lean on, and they may not look like you (or, in Chibs’ case, sound like you), but they’re your brothers nonetheless. Look no further for an example of this than the season seven premiere, in which every single Son vowed that they would die for the man next to him. If that’s not commitment, loyalty, and love, then what is? 3. True love isn’t always meant to be. Opie and Donna. Clay and Gemma. Jax and Tara. Most of Sons of Anarchy‘s biggest romantic relationships are ill-fated, with either one member of the pair dying or betraying the other. The idea of “true love” doesn’t really exist on the series, at least not in a romantic sense. The truest love that characters possess for one another is familial love, such as the love between brothers (members of SAMCRO) or parents’ love for their children (Jax and Tara caring for Abel and Thomas and, obviously, Gemma’s possessive love for Jax). 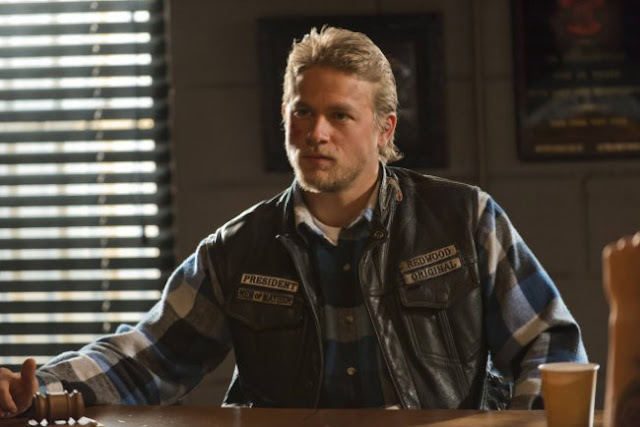 The most important romantic relationship on Sons of Anarchy, Jax and Tara, ended with her being killed by Jax’s own mother, and I don’t know about you but I’m taking that as a sign from Kurt Sutter and the writers that they believe this idealistic nature of “true love” isn’t always what it’s said to be. 4. Mothers will go to extremes to protect their sons. Tara was willing to fake a miscarriage and even possibly send Jax and the rest of the club to jail in order to protect Abel and Thomas. Gemma went on a rage rampage and killed Tara in order to protect and avenge Jax for what she believed Tara had done to him. Wendy went against Jax’s original requests to stay away from Abel, even after he threatened her and injected her with heroine, causing her to relapse. The women on Sons of Anarchy, particular those that are mothers, will essentially do and risk anything for their children, and while their actions may be based in love, it’s dangerous to see just what lengths they will go to for their family.